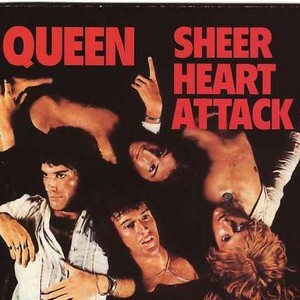 Sheer Heart Attack is a Queen album that has something for nearly everyone. 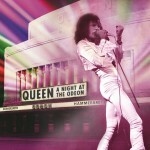 There's glam, progrock, guitar pyrotechnics to spare (check out Brian May's shape-shifting performances on "Brighton Rock" and "Flick of the Wrist"), proto-speed-metal ("Stone Cold Crazy"), and Queen's unique brand of campy humor ("America's new bride to be / Don't worry, baby, I'm safe and sound," Freddie Mercury declares on "Now I'm Here," a Queen concert staple). The group takes a rocked-up turn at ragtime on "Bring Back That Leroy Brown" and downshifts memorably on the spare piano-and-voice interludes "Lily of the Valley" and "Dear Friends." 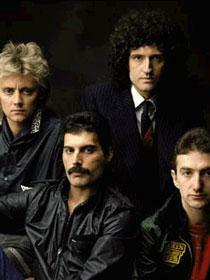 Best of all is the wicked rock-and-harmony showcase "Killer Queen," the group's first international smash. If you need a reminder of everything that was right about rock's old guard before punks stormed the gates, look no further.